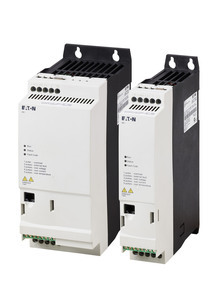 RS Components (RS) now stocks the Eaton PowerXL DE1 series of variable-speed motor starter/controllers. These compact drives offer easy menu-free setup for those with no previous automation experience, and are available at prices that compete strongly with basic motor starters from other suppliers. 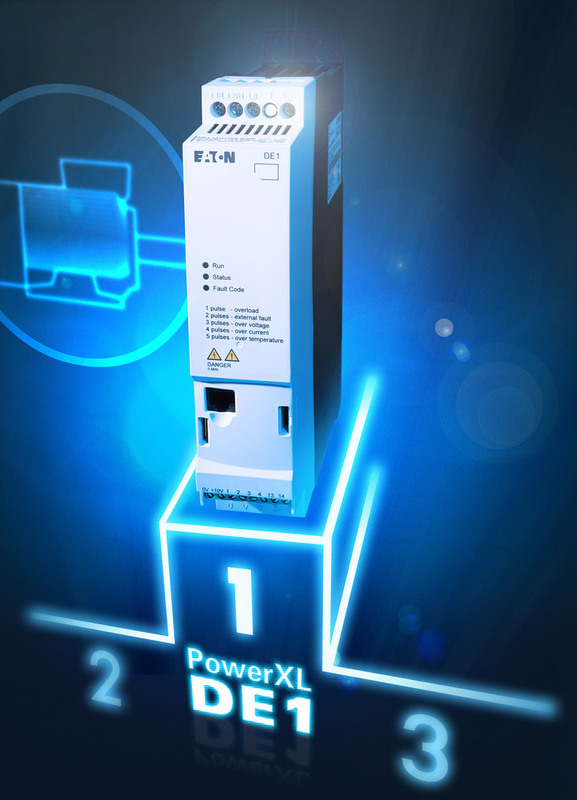 PowerXL DE1 controllers combine the economy and simplicity of a starter or contactor with the features of a variable-speed drive to help save energy and meet increasingly strict regulations governing motor efficiency. Motor speed, acceleration and deceleration are set by adjusting switch positions on the small plug-in parameter loader, DXE-EXT-SET, using a screwdriver. No specialist knowledge is needed. This unit also provides a status LED and a 50Hz/60Hz selector switch to optimise the drive for use in territories worldwide. 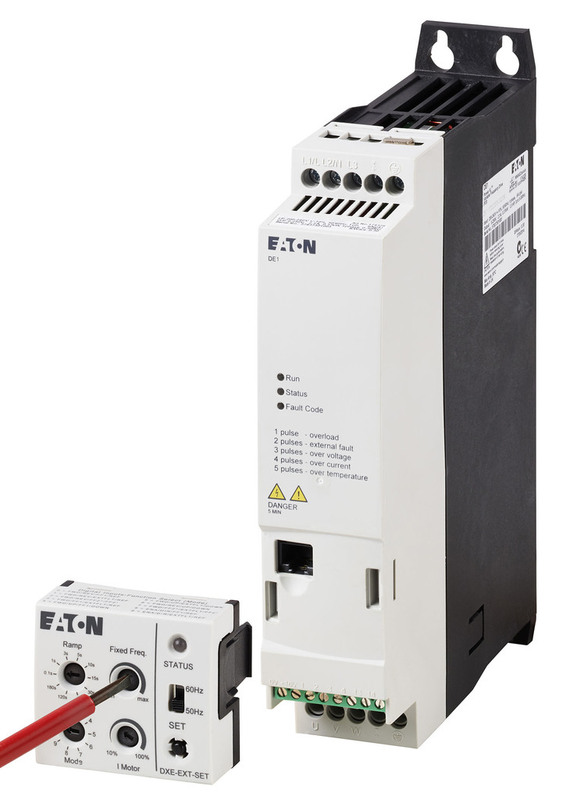 At just 231mm high, and 45mm or 90mm wide depending on power rating, the module dimensions are consistent with Eaton PKZM motor-protection modules and DILM wiring modules. This enables equipment designers to achieve a neat and attractive front-panel layout. The enclosures are IP20 rated. 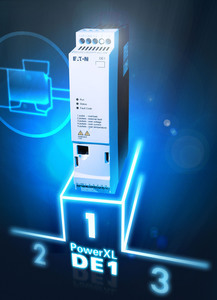 All PowerXL DE1 drives support OP-Bus (RS-485) and Modbus communication, and also provide a PC connection. 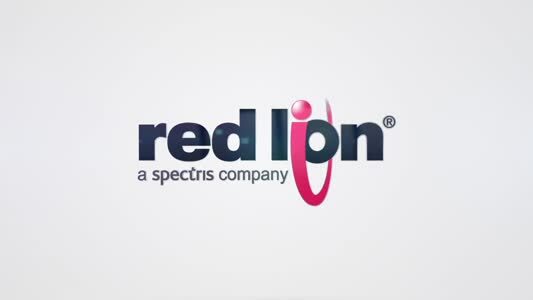 The series comprises 0.25kW, 0.55kW and 0.75kW single-phase units and 11 three-phase options from 0.37kW to 7.5kW, and can be used in a wide variety of pumps, fans, conveyors, and simple machines for applications such as handling, packaging and process control.